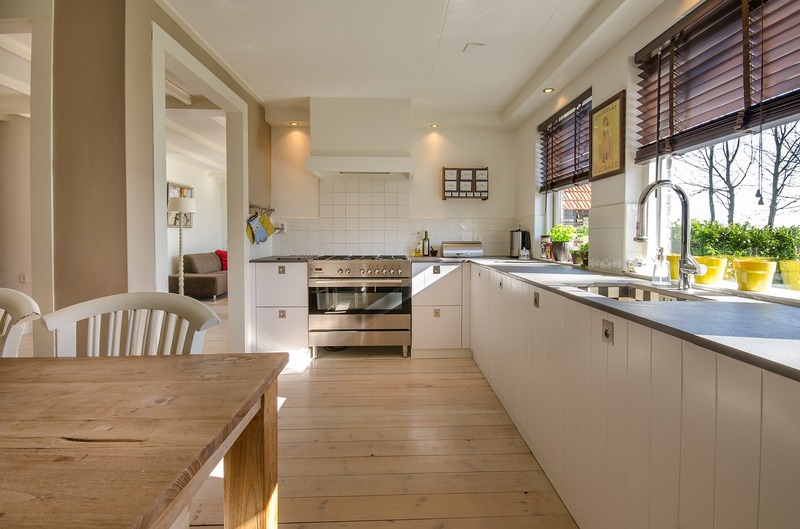 If you’re looking to invest in kitchen cabinets in Anaheim this year, you’ll want to pay close attention to the latest trends, from gold finishes to quartz counters to color cabinetry. We’re seeing these seven kitchen cabinet trends rising to the top for 2019. Specifically, we’re talking sinks in bright metallics, hammered finishes, intricate details and even gold. Naturally, you’ll want to match your cabinetry with those metallic finishes such as drawer pulls, handles and other accessories. Consider gold patina, rose gold, black gold and bright gold. This trend has been gaining speed, but only for those homes that have the extra space. As the minimalist movement gains momentum, more and more homeowners want their spaces to appear as clean as possible. The best way to go about that is to have open walls, specifically by eliminating upper cabinets while keeping the lower. If you’re building, remodeling or adding on, consider the addition of a butler’s pantry or antique armoire. You’re going to need to put your dishes somewhere! All-white kitchens will always be classic; however, the trend is moving towards colors. If you think a kitchen devoid of color makes your existing space feel lifeless, consider painted cabinets in blue and green, or stains in warm chestnut, fruitwood and black. Even charcoal will add a pop of visual interest. Metal shelving is starting to come onto the kitchen scene. This follows the minimalist pattern we’ve been seeing. Previously, open wood shelving was the gold standard. Now, black metal shelving is here to give your kitchen a modern attitude, style and flexibility. The blending of contrasting textures and sleek finishes is getting interesting. You can try coupling mirrored backsplashes with highly-polished, chunky marble countertops, or cupboards featuring textured bronze inlays and matte fronts with sandblasted timber to result in a layered urbanized look. More home owners are gravitating towards concealed and clean integration in their kitchen designs, with maximized storage solutions that introduce a clever way to hide what’s inside. Specifically, the method that achieves this is with the absence of clunky drawer pulls and touch activated opening. That being said, if you still really love the look of door handles and pulls, pewter and gunmetal are all the rage right now specifically as they match the latest in sink fixtures. While not as harsh as matte black or shiny as brass or gold, pewter and gunmetal provide your cabinets in Anaheim CA with texture and depth. Interested in more kitchen cabinet trends for your Anaheim house in 2019? Contact us for a free kitchen design. We offer the very latest styles at wholesale prices that will transform the look of your kitchen!